EXCLUSIVE: Trump signs space directive! 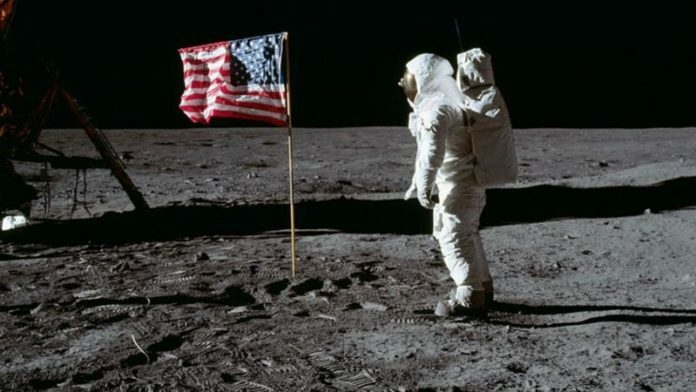 USA to return to the Moon! 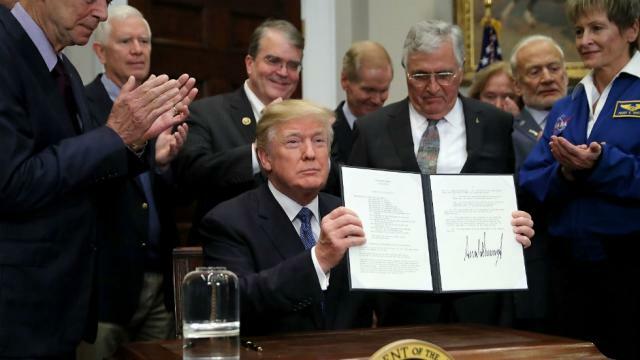 President Trump in a White House ceremony on Monday signed a new directive aimed at sending American astronauts back to the moon — the Trump administration has insisted this will restore the USA to its role as a leader in space exploration and help spur more job growth. Trump has already seen unemployment fall to a 17-year low of 4.1% during his first year in office. It was a fitting day for the signing of this directive as it marks the anniversary of the Apollo 17 mission landing on the moon in 1972. He continued by reiterating ambitions further than the moon, with a further goal to reach a manned mission to Mars. “This time, we will not only plant our flag and leave our footprint, we will establish a foundation for an eventual mission to Mars and perhaps, someday, to many worlds beyond. This directive will ensure America’s space program once again leads and inspires all of humanity,” Trump added. “This is a giant step toward that inspiring future. We are the leader, and we are going to stay the leader,” he said.